Fun! Fun! Fun! Red Roof Allentown Airport has Newly Renovated Rooms and is now 100 percent Smoke-Free. 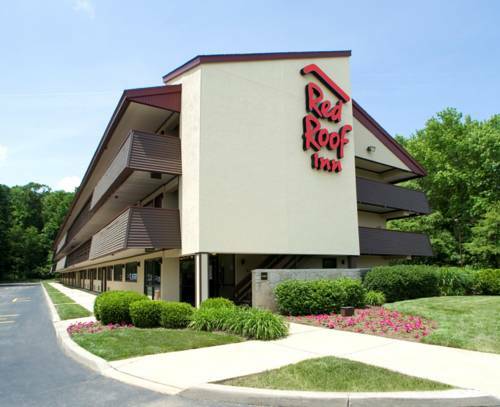 This Red Roof Inn is just 15 minutes away from Dorney Park, Wildwater Kingdom and the Crayola Center. Coca Cola Park, home of the Lehigh Valley Iron Pigs, is just one mile away and the Blue Mountain Ski Area is within 20 miles. For business travelers, Lehigh Valley Industrial Park is just mile, and Allentown Fairgrounds and Lehigh University are both only 5 miles away. Lafayette College and State Theater are both within a 20 minute drive. This hotels hospitality makes each day a great day to stay at Red Roof Allentown Airport. Fun! Fun! Fun! Red Roof Allentown Airport is just minutes away from Dorney Park and Wildwater Kingdom, and the Crayola Center. Plenty of shopping and entertainment nearby! This hotels hospitality makes each day a great day to stay at Red Roof Allentown Airport. A fun, old-style tour, right on the brewery floor; you may even get to meet the big boss.